This is the summary of consumer reviews for Speedo Aqua Jog Water Aerobic Belt. The BoolPool rating for this product is Good, with 4.00 stars, and the price range is $18.08-$38.17. 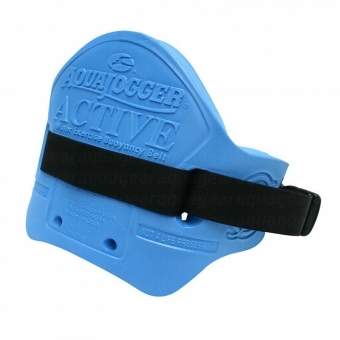 The Speedo Aqua Jog Water Aerobic Belt is a great equipment for pool exercise. It is great for working out in the pool and effectively lets people float so even beginners can use it. It is good for aquatic exercise and prevents back fatigue. It is lightweight and durable. However, it can be a bit too wide and it floats up the body as well so it may also be uncomfortable to use at times. It chafes the skin for some if not all, and may be ineffective for some. The Speedo Aqua Jog Water Aerobic Belt is made of soft and flexible foam and is great for low-impact exercises in the pool. 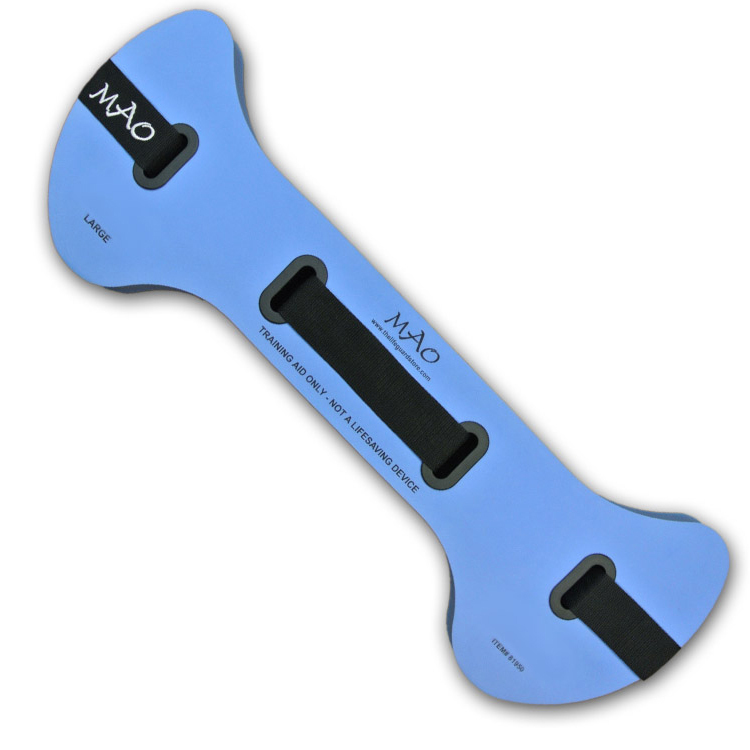 It provides support and balance especially in deeper areas of the pool and is adjustable with a quick release clip. A great way to exercise in the pool. This works very well in the indoor pool for water walking/jogging. I spend waaaay more time in the pool working out. great for in the pool you get a good work out just love using this exercise is the best now. I'm helping an elderly gentleman do exercise in the pool. It however did work very well for him snorkeling around the pool. The belt works great for running in the pool. 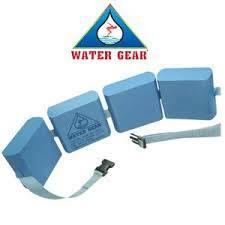 My wife uses this belt almost daily when she does water aerobics in our swimming pool.It's comfortable, lightweight and durable. When too many of us are in the pool I do my exercises in the deep water. Summer is here and I'm ready to workout in the pool. Belt rides up from my waist when in the water. I really like it, although I did have to learn how to keep it from riding up. I'd rate it perfect if it'd a crotch strap to keep it from riding up in the water and a smoother surface to eliminate chafing. I'm 225 pounds and it keeps me afloat. As this belt keeps you afloat, you can concentrate on your arm and leg movements during water aerobics class. This'll prohibit the riding up. The belt can ride up slightly depending on how vigorously you work out. When it rides up, it causes the sides to interfere with your arms moving in the water and can result in chafing along the backs of your arms. 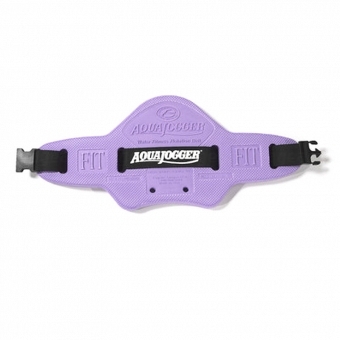 This belt is great to keep you up while doing aerobics in the water, HOWEVER, it rides up after the belt gets wet and there's no adjusting it while wearing it. However, the front belt tends to ride up under my chest which makes it rather uncomfortable. GR8 for exercising in deep end of pool. 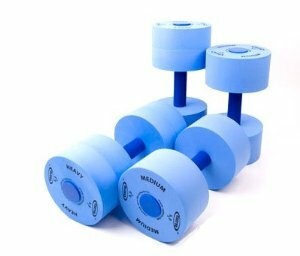 It's really great for exercising in the water and I personally love the color. Great for someone who doesn't swim well to expert swimmer for good aquatic exercise. This belt makes water exercise a real pleasure. I got the small/med size, we're regular sized people, and it works well for both male and female, we just tuck the left over strap. I'M A SWIMMER BUT WANTED THE BELT AS AN AID IN WATER EXERCISE. It's great buoyancy which allows for extended water exercise and a good work out. It really helps keep me upright in the water so my posture is correct for my exercises. Thanks to this belt, everyone will be able to more fully enjoy the benefits of exercising in deep water. Bought this for a snorkeling trip. I bought three of these..one for myself, my husband and 20 year old nephew...for a snorkeling trip in the US Virgin Islands. I TAKE WATER EXERCISE CLASSES 4 TIMES A WEEK AND AM SO HAPPY I BOUGHT MY OWN BELT!!!!. My husband bought this when he couldn't run. It was so relaxing to just float along on the ocean surface admiring all the beautiful sea life. I bought the hard rubber back support for the water. I think the other styles work better (know this from aqua aerobics class). It helps me stay afloat. This's been extremly helpful for less than confident swimmer. Helps to keep you afloat and able to complete all the exercises. I got this for my wife to go snorkeling withsheuse to be scared a lil but now with this she deals safe helps her stay floating wile she gets to see the fish. I threw a rod holder on the belt and this helps prevent back fatigue especially when I'm chest high in water. I'd recommend it to anyone who wants a little help in the water for aerobic purposes or just to relax in the water. I'm not a great swimmer but with my bad knees the doctor told me to swim. I'm not a strong swimmer so this'll allow me to stay out longer and see more. seems to be holding up to salt water just fine and I've been using it for over a year. This's exactly what I was needing for a snorkeling trip which is coming up.